Waterside Park is an excellent example of the regeneration of a brownfield, previously contaminated, industrial site, which was formally used as a dockyard. Located close to the River Thames, the development includes green open spaces and central courtyards. 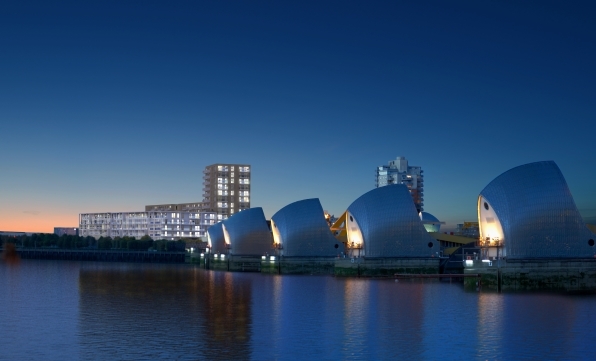 Waterside Park lies at the heart of the wider regeneration of the Royal Docks in East London, which has seen the area transformed in recent years. 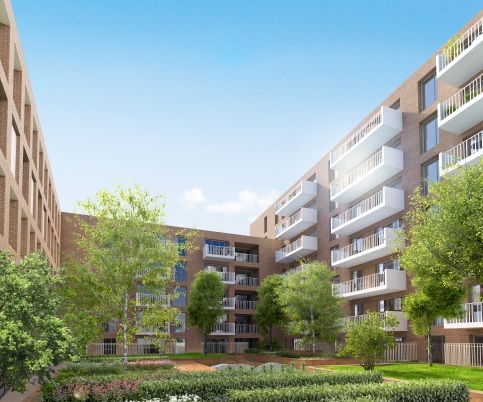 Kingfisher Heights, the final phase of the Waterside Park development, is a 13-storey tower boasting a high-quality range of one, two and three bedroom apartments, each with balcony or terrace and, most with river or park views. This sustainable development includes a residents’ health and fitness centre, landscaped open space and private residents’ courtyards, open games area and childcare and play facilities. Waterside Park comprises 780 homes, ranging from one to three-bedroom apartments (including affordable homes) together with some townhouses, in an area undergoing immense growth. Conveniently located near Pontoon Dock DLR station, the development enjoys easy access to East London's most popular destinations including City Airport, Canary Wharf and the O2. 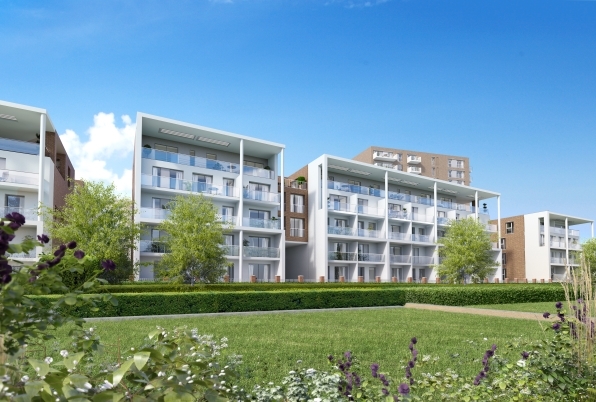 The development includes several landscaped areas, and sits next to the award-winning Thames Barrier Park, which provides residents with further access to landscaped parkland with fountains and family areas. All homes at Waterside Park were designed to Lifetime Homes standards, to comply with both the GLA’s and London Borough of Newham’s policies on sustainable energy, and to meet Level 4 of the Code for Sustainable Homes. A centralised community heating network serves all homes on the development and is supplied by a Combined Heat and Power plant and biomass boiler on site, ensuring significantly reduced carbon emissions. In addition, photovoltaic panels provide renewable energy to the scheme, also reducing its carbon footprint. Water storage tanks have been installed to collect rainwater from the development, to irrigate the landscaped areas, and the provision of low water-use appliances further contributes to efficient water usage throughout the scheme.